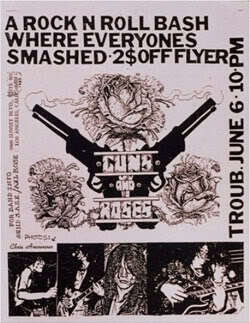 This is the first Guns N' Roses concert featuring the Appetite for Destruction lineup, this is also the first GN'R show we know the setlist to. Slash replaced Tracii who disn't show up for rehearsals while Steven Adler replaced Rob Gardner who had been fired. 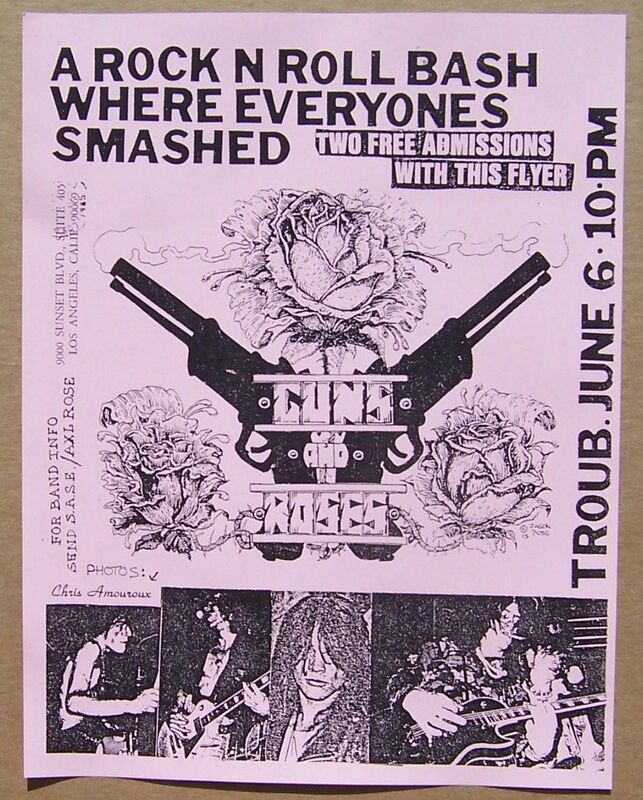 The lineup changes were abrupt and Tracii Guns and Rob Gardner are still in the flyer for this show.